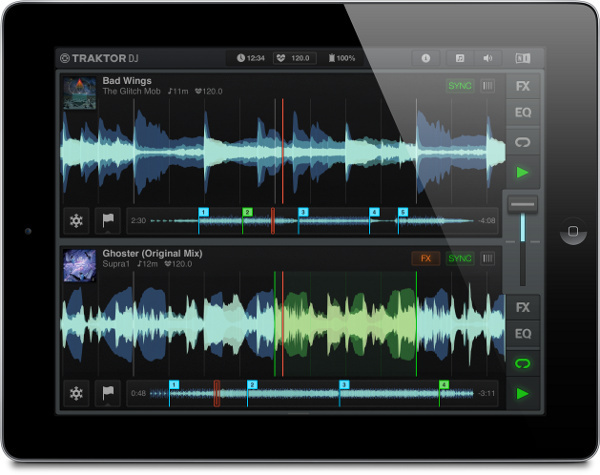 Native Instruments today released TRAKTOR DJ – a unique, hands-on DJ app built from the ground up for iPad aimed at DJs of all levels from novices to touring professionals. TRAKTOR DJ introduces the completely new Freeze Mode, which lets users slice up a waveform into playable parts for on-the-fly remixing and entirely new musical performances. The app also allows users to create beat grids in real time, intuitively mapping out a song's groove without having to stop the music. DJs are encouraged to discover the full extent of TRAKTOR DJ's capabilities at their own speed via the Notification Center, which tracks the user's progress through the app's features and unobtrusively offers tips, tricks, and techniques from within the app.